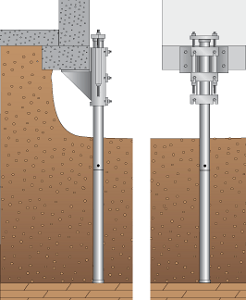 Steel push piers, also known as resistance piers or micro piles, are commonly used in the underpinning industry to stop or prevent foundation damage. Not all steel push piers are equal. 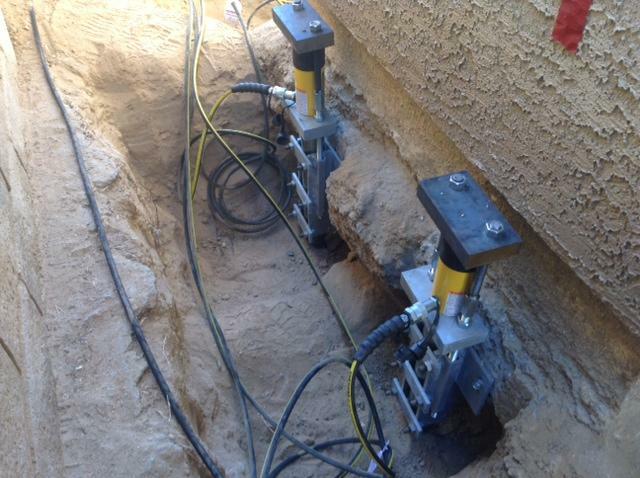 That’s why the structural contractors and other professionals at Matthews Wall Anchor use the latest underpinning products from Earth Contact Products (ECP) to ensure top-notch performance and engineered design. 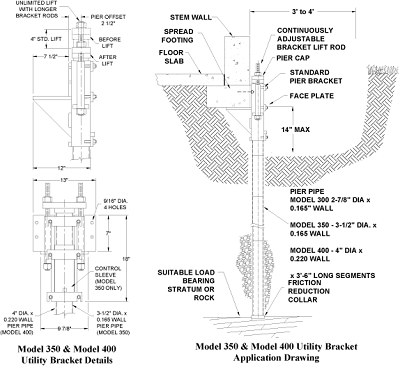 Steel piers are the best choice for foundation repair experts and foundation design engineers. Piers are individually driven during the installation process. A friction collar is connected to a section of the galvanized pier pipe to create an opening larger than the diameter of the pier pipe. This helps eliminate the need for skin friction on the pier pipe. It also allows our contractors to load test the pier so it can be suitable to support the load. During the load transfer process, hydraulic jacks are inserted into various locations to reduce the load on each resistance pier. By connecting hydraulic jacks to the manifold system, it lifts and stabilizes the structure. At Matthews Wall Anchor, we provide different types of steel piers to serve the needs of our customers. ECP is the leading manufacturer of quality underpinning. They provide case studies so you can understand foundation applications as well as get an overview of the product. Here are some examples of case studies using ECP steel piers for various projects.